Need to present an overview of the New Grant Regulations to your Organization, but don’t know where to start? Our editable New Grant Regulations Editable Presentation Slides makes it easy to put together a presentation. You don’t have to start from scratch. The whole presentation has been created in an editable PowerPoint version. Use it ready-to-go, or drop in your organization’s slide master or logo. You’ll be ready to present the information to your staff, senior managers, program personnel or Board…with a minimum of hassle and time. 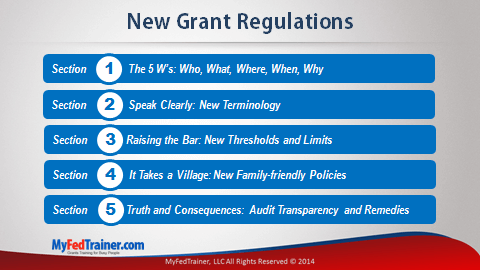 What are the new grant regulations? When will the new regulations take effect? How will we be impacted by the changes? After purchase, you will receive an email with a link to download the editable document(s) you purchased. The editable New Grant Regulations Editable Presentation is produced in an editable format in MS PowerPoint so the documents can be personalized for your Organization. Add other information unique to your Organization, hit save and you are ready to present! We provide the presentation in both a 4:3 and 16:9 format to accommodate different viewing needs. 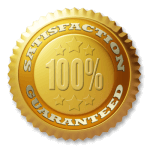 We want you to be satisfied with your purchase, so with all of our products and services, you get our 30-day risk-free guarantee. If this grant management resource is not the right fit for you, just let us know within 30 days and we will refund 100% of your investment.